We all know that fraud has been occurring with the Form W-2. This is what has caused the IRS to request and Congress to approve moving the due date of the form up to January 31st. But now the IRS is alerting payroll professionals to be aware of an emerging phishing email scheme that is targeted directly at payroll and the information you have on your employees. It seems that these schemes send bogus emails purporting to be from company executives and requests personal information on employees. This is a new twist on an old scheme and is focusing on the busyness of this tim e of year. IRS Commissioner John Koskinen has advised payroll departments to be sure to check out requests for company lists that come from executives before sending out the data. “Everyone has a responsibility to remain diligent about confirming the identity of people requesting personal information about employees” states Commissioner Koskinen. 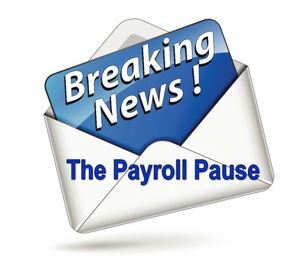 Be sure to get the latest news as soon as it happens by subscribing to The Payroll Pause for only $65 per year.